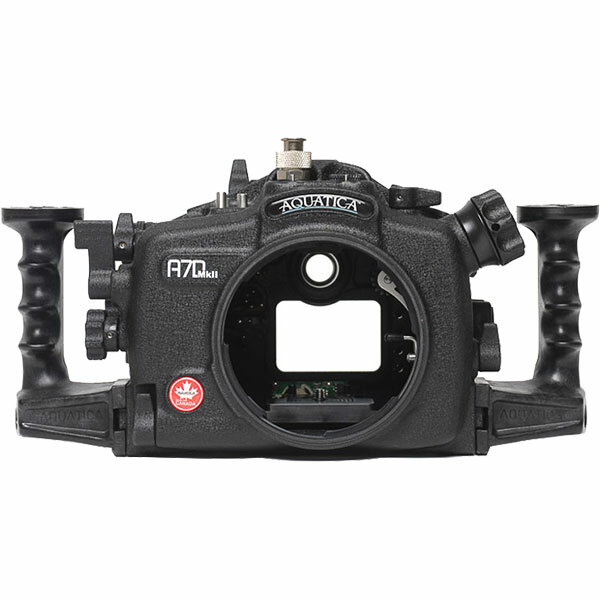 The Aquatica A7D Mk II is the only aluminum housing with built in TTL capability for Ikelite strobes, it combines the fine craftsmanship of our housings with the impressive knowledge in strobe technology from Ikelite. If the subject exposure requires it, the exposure correction dial for the strobe, which is conveniently located on the rear, close to one’s right hand, makes easy work of tweaking exposure, simply by rotating the knob with one’s thumb, even switching the strobes to full manual and controlling their power output can be done from this control. 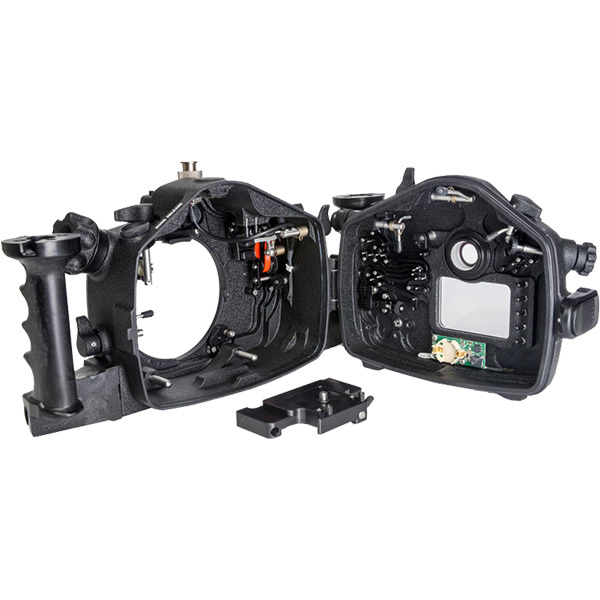 All in all the A7D Mk II housing is well balanced underwater, even all kitted up for actual diving conditions with modeling light and dual strobes , the A7D Mk II is easy to operate, with the housing vital mechanical controls accessible at all time. 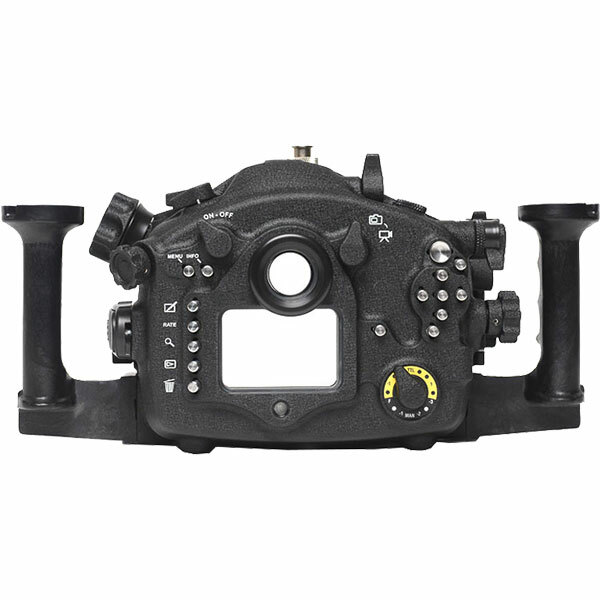 The right hand business side has controls over the strobe exposure compensation control knob, AF-ON and star (*) lever, ISO lever, aperture and shutter speed knobs, and the multi control array, buttons, all without having to remove one’s hand from the grips. The left hand side reaches the Zoom/focus control, the Menu, INFO, playback and other buttons. Materials Corrosion-resistant aluminum alloy (anodized), Stainless steel, Plastic, Clear plate glass.